In 2010, prepping took over my life, all in a good way. Years later, I now believe I have the skills, supplies, and most of all, the mental fortitude to prevail during dire circumstances. 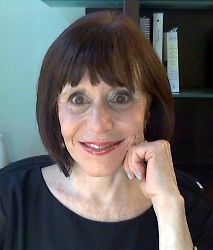 Although I still prep, albeit less frantically, I have moved on in pursuit of new passions. One of those passions is grown up coloring. When I first learned about adult coloring (also referred to as grown-up coloring), it was an emerging craze, fueled mostly by Johanna Basford and her Secret Garden coloring book. As someone who had a day job as well as a full-blown website, I was stressed to the max and wanted something that would allow for private, me-time. I was also fascinated by the prospect of stashing some low-cost coloring supplies for passing the time during grid-down emergencies. I jumped in with both feet and now, years later, find that doing so led me to discover that I indeed had some creativity and in my DNA and more important, I could pursue a guilty pleasure without having to spend a ton of money. Win-win. 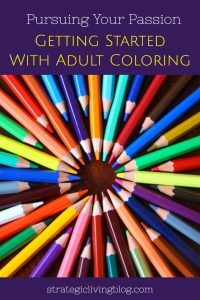 With that introduction, let me help you get started with adult coloring!